The biggest sport in Japan is Baseball. It´s always on TV and they have two leagues similar to the American series and most cities have their own baseball team. They are also big into football or soccer again with most cities having a football team. 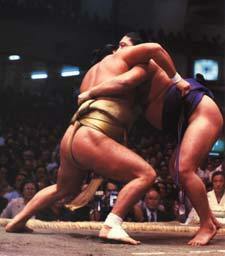 Another popular Japanese sport is Sumo. Now most of us westerners poke fun at Sumo with comments like its two fat blokes with no clothes on. Wrong. Wrong, Wrong. Sumo is one of the most honorable of the Japanese fighting arts. A Sumo wrestler is classed as superhuman in Japan with the strength to lift a 30 stone man clean off his feet and if need be carry him out of the ring, but he must also have the speed and agility to survive or evade attack. If you ever see Sumo pictures of olde, you will see men who look more like strongmen than what we see as Sumo s today. Legend has it that the Sumo fought to determine who was the strongest. This would guarantee the winning Sumo a good living in return. Having seen these wrestlers at first hand, and even had dinner with them (theres a restaurant in Tokyo you can visit where the Sumo eat), be under no illusion that they are big, maybe they don’t look so fast but they are very strong and I wouldn’t want to get hit by one of them. I’m big and they’re bigger! 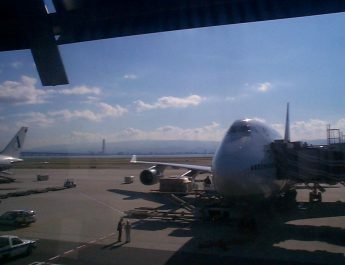 Much bigger. Sumo is also a very rewarding sport for the competitors and it is usual for a wrestler to earn in excess of 1 million dollars per tournament at top level competitions. Sumo is now more of a practised sport than a practised martial art today, but with over 2000 years of history, Sumo still retains some of its old rituals and traditions. To be a Sumo is to live Sumo, its a way of life for the wrestler, and all training leads to the six main tournaments held each year in which each Sumo club, or stable, competes against each other. To win each match a Sumo must either wrestle his opponent to the floor making him touch the floor with another part of his body other than his feet or remove him from the ring. This can be done by throwing, pushing or carrying your opponent. Being a Karate practitioner in the past I will write something about it at some point but its a punching and kicking self defense martial art. Judo is a derivative of Jitsu and is now an established sport, even having appeared in the Olympics since 1964. Judo has now developed into a Martial arts whose punches and kicks have turned into throws and pins which are used to subdue an opponent. Aikido is a Japanese martial art developed by Morihei Ueshiba (often referred to by his title O Sensei or Great Teacher ). On a purely physical level it is an art involving throws and joint locks that are derived from Jujitsu and some throws and other techniques derived from Kenjutsu. Aikido focuses not on punching or kicking opponents, but rather on using their own energy to gain control of them or to throw them away from you. It is not a static art, but places great emphasis on motion and the dynamics of movement. Originating from the Samurai who wished to practise fencing without the dangers associated with using a real sword. (Nihontô). Fencing is done with large bamboo swords called a Shinai, and participants wear protective clothing in the form of padding and a face mask. In a Kendo match points are awarded for hits to the head, torso, forearm and throat.